William is the middle name of David Moyes according to the Manchester United manager’s birth certificate but perhaps he should change it to Cautious because that is the word that best describes how he approaches major football matches. And a major football match is how one would have to classify the English Capital One Cup semi-final first leg between Sunderland and Manchester United at the Stadium of Light as, realistically; the knockout competition represents the only chance that Moyes has of winning a tournament in his first season as Red Devils boss. Obviously not good enough to win the English Premier League, it is fanciful to suggest that Manchester United could take out the UEFA Champions League. 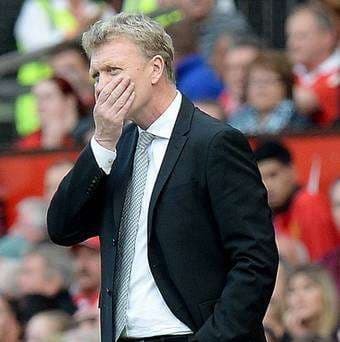 When the going gets tough, Moyes gets negative. That is why Moyes has an absolutely terrible record as a manager in big games, including failing to win either an Anfield match or a trophy during his 11 years in charge of Everton. With Wayne Rooney and Robin van Persie unlikely to play much of a part versus Sunderland – either they will not take to the field or their minutes will be limited – the best way to approach the English Capital One Cup semi-final first leg is to punt on under two and a half goals at odds of 2.00 with Sky Bet. Sunderland has scored a paltry 15 goals in its 20 English Premier League games, averaging one goal per match at the Stadium of Light. Manchester United is the English Premier League’s joint top-scoring team away from home but, with Moyes likely to revert to type as the pressure mounts on Alex Ferguson’s successor, injuries hampering the Red Devils and the English Capital One Cup semi-final taking place over two legs, one can make a strong case for under two and a half goals, particularly as it is a marginal underdog. Manchester City meets West Ham in the other English Capital One Cup semi-final first leg and one cannot see anything other than a comfortable home victory. Manchester City beat West Ham 3-1 at the Boleyn Ground three months ago and that was long before the Hammers dressing room began to resemble a scene from M*A*S*H. West Ham boss Sam Allardyce says that so long is his side’s injury list that the team is picking itself at the moment. West Ham lost 0-5 to Nottingham Forest in the English FA Cup third round on Sunday and, while the Hammers will not field as inexperienced a side at Etihad Stadium as they did at the City Ground, they are highly likely to receive another hammering on the road. The Manchester City against West Ham odds that make the most appeal are those of 1.57 with Sky Bet that the Citizens cover a one-goal spread. Manchester City has played 14 home games across all competitions this term and it has won 11 of those matches by two or more goals. West Ham was doing all right away from London’s East End until recently, at least with regards to not copping thrashings. However, West Ham has lost three of its last five English Premier League road games by two or more goals and the less said about its weekend City Ground catastrophe the better. Weather played havoc with the English FA Cup third round on the weekend. Charlton and Oxford will have a second crack at playing their tie at The Valley on Wednesday and the Addicks are attractively priced at odds of 1.75 with BetVictor. A huge 35 places separate Charlton and Oxford on the English football pyramid and the higher ranked Addicks welcomes the Us having not lost any of their last four games, with only in-form Derby defeating the south Londoners in any of their last six matches. Oxford is reeling from back-to-back English League Two losses to Plymouth and Scunthorpe that have seen the Us slide to sixth in England’s fourth tier. Having expected to see Charlton chalked up at odds of around 1.50 to overcome Oxford it was a shock to see the Addicks available at odds of 1.67 ahead of Saturday’s postponed tie. That BetVictor has decided to offer odds of 1.75 about Charlton winning the rearranged clash is surprising.